Our new friend Joseph DF wrote to us on Facebook to share this good news! 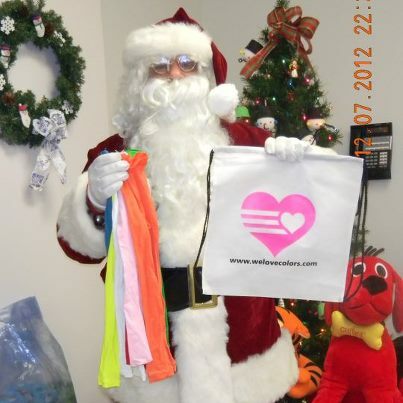 Santa Claus appreciates that We Love Colors donated $350 and many pairs of tights to Hurricane Sandy victims in Union Beach and Keansburg, NJ! We are delighted (: Thanks for Sharing Joe!